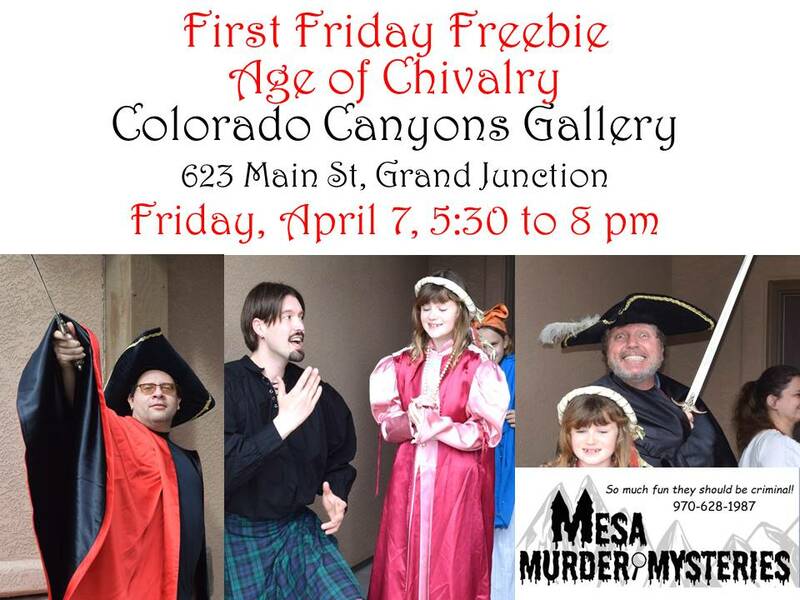 On the sidewalk in front of Colorado Canyons Gallery, 623 Main Street, Grand Junction, CO. starting at 5:30 pm and on the half hour until 8 pm. Have your fortune told by Clara Voyant the gypsy psychic. Our next show will be Writing Mysteries Is Murder, Friday, April 28 at 6:30 pm. Click the graphic for more details.